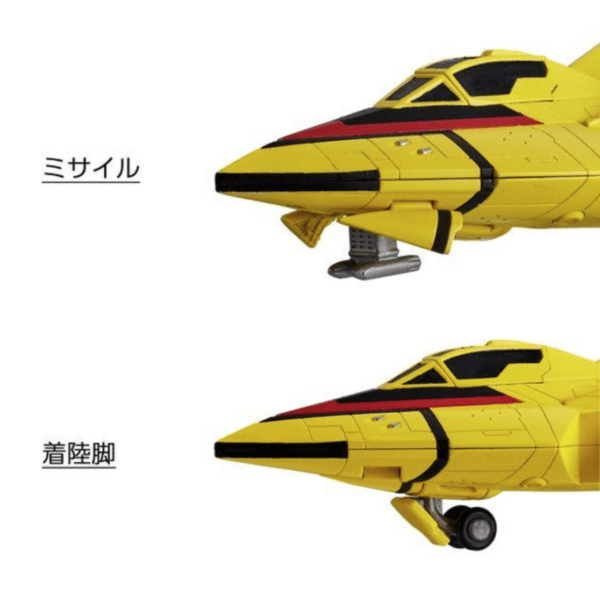 Premium Bandai has just announced their first installment in the Ultra Revive line, the GUTS Wing No.1 from Ultraman Tiga. 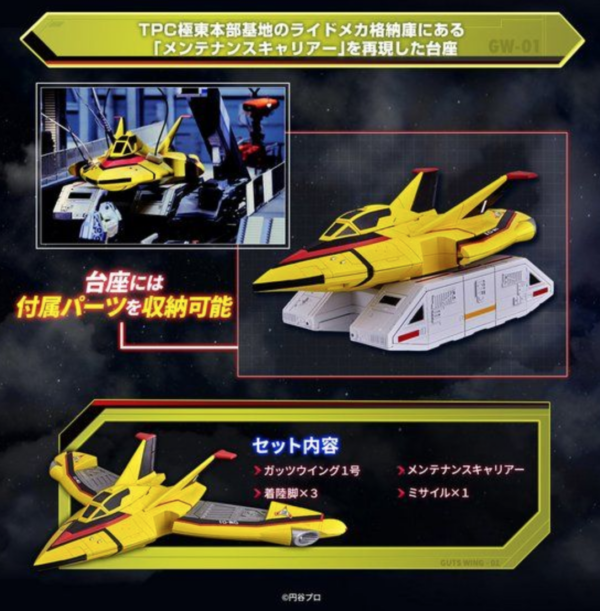 From the 1996-1997 Ultra series, Ultraman Tiga comes the first TPC (Terrestrial Peaceable Consortium) fighter jet of the defense organization “Global Unlimited Task Squad (GUTS)” This high-speed fighter jet was originally only for rescue operations but was later equipped with weapons such as missile launchers and laser turrets. 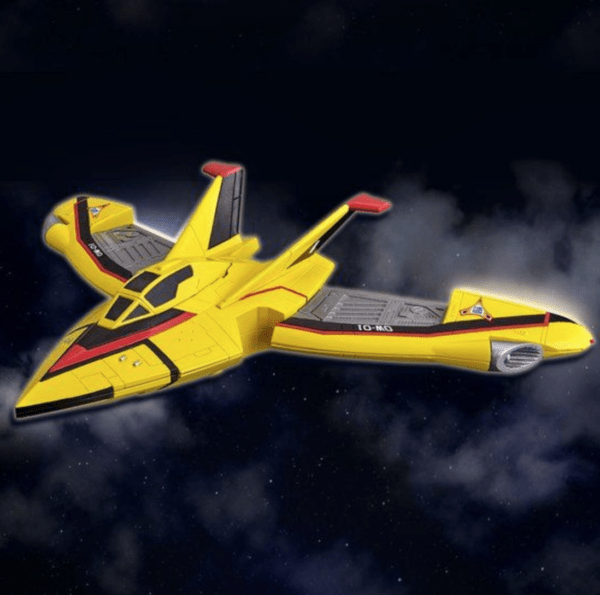 Designed based on the prop used at the time of broadcasting, the Ultraman Tiga Ultra Revive Guts Wing No.1 reproduces the details of the fighter jet. 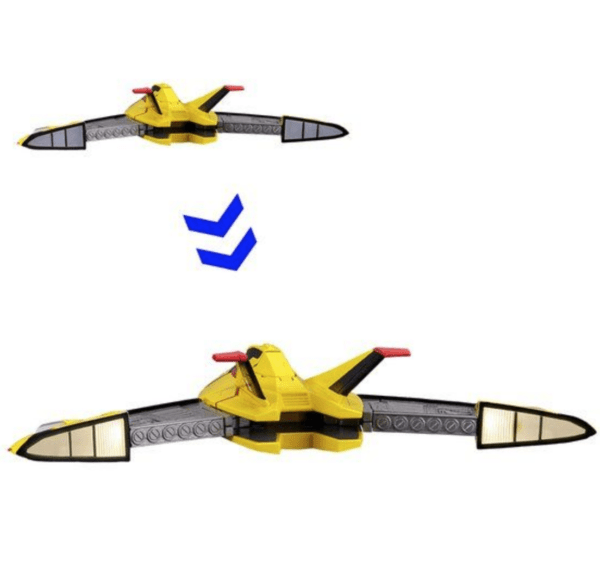 There are LED lights in the rear part of both wings. 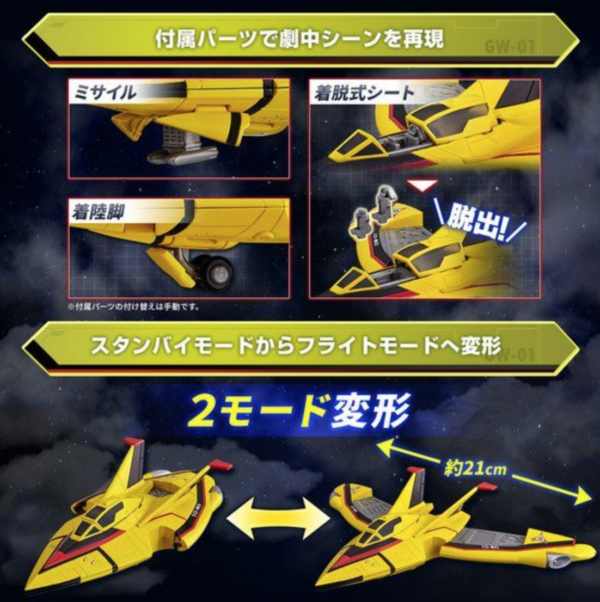 By replacing parts, you can equip the fighter jet with missiles as well as enjoy recorded flight sounds and attack sounds with a high presence. 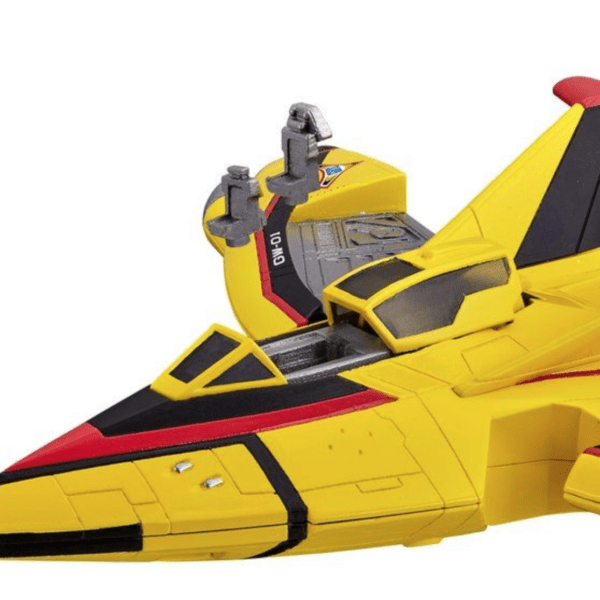 In addition, it can be deformed into standby mode by collapsing the wings. 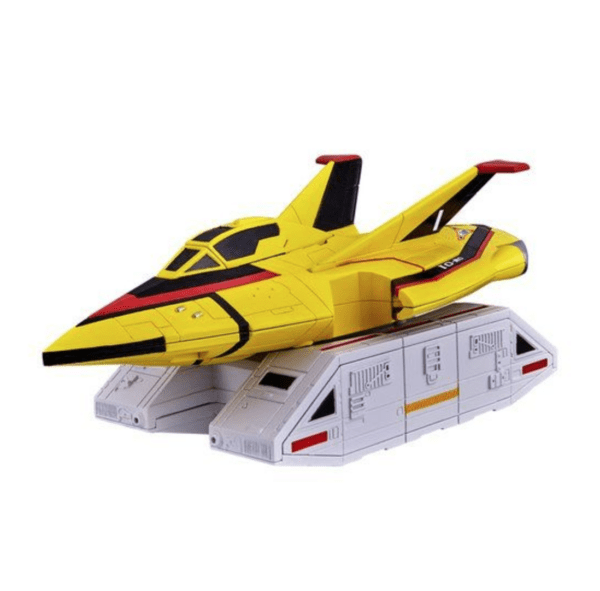 A dedicated pedestal that replicates the maintenance carriers in the Ridemecha hangar in the Far Eastern headquarters of the Earth Peace Union TPC is also included. 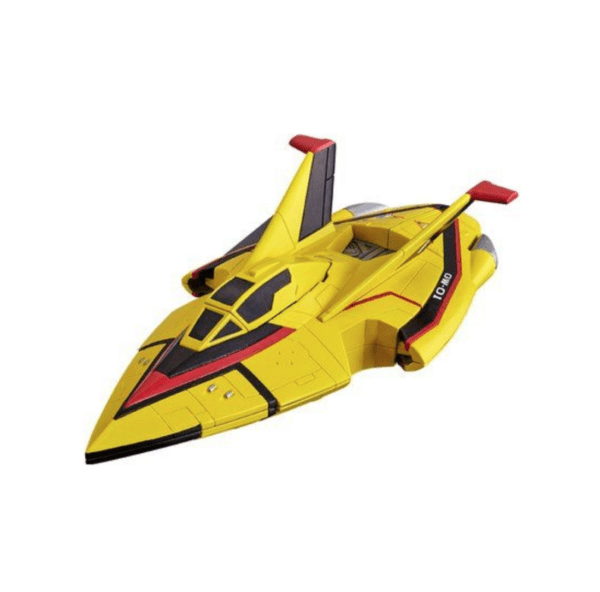 The Ultraman Tiga Ultra Revive Guts Wing No.1 set includes the GUTS Wing No.1 model, a Maintenance Carrier (Dedicated Base), 3 Landing Legs, 1 Missile, and 2 LR44 batteries already attached to the model. 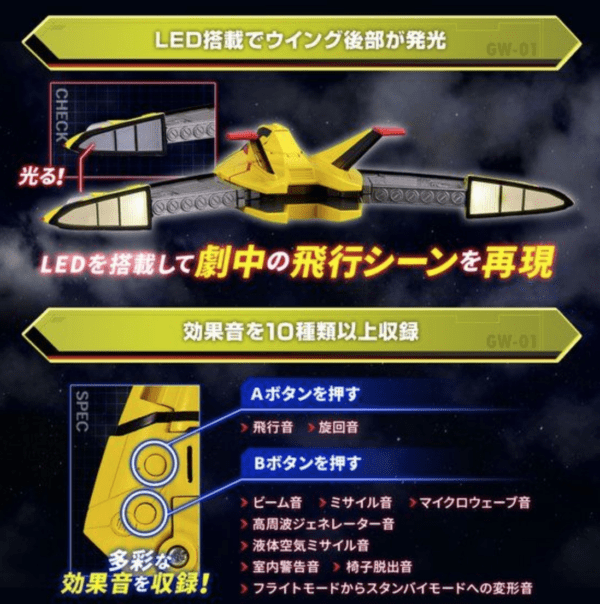 The Ultraman Tiga Ultra Revive Guts Wing No.1 set from Ultraman Tiga will go for ¥5,980 (tax included) and is scheduled for shipment in May 2019. Preorders are being accepted from November 30, 2018 at 11:00 JST to February 12, 2019 at 23:00 JST.